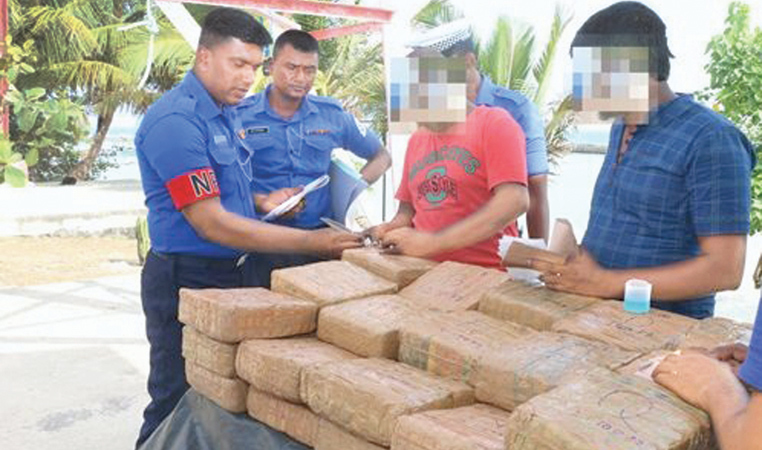 Naval personnel attached to the Northern Naval Command during a foot patrol in Thikkam beach area in Point Pedro arrested two suspects with 91 kgs of Kerala cannabis yesterday morning. Navy media unit said that the suspects may have brought the cannabis from a foreign country. The two suspects aged 47 and 60 are residents of Thikkam. Point Pedro Police is conducting further investigations.The Navy has seized over 770 kg of Kerala cannabis so far in 2019.The Navy has enhanced search operations in the sea and land giving its fullest support to government endeavours to curb the illicit drug menace.